I love cabbage for it’s flavor, versatility, as well as how good it is for you! I stumbled into a couple very large heads of cabbage, so I got creative! 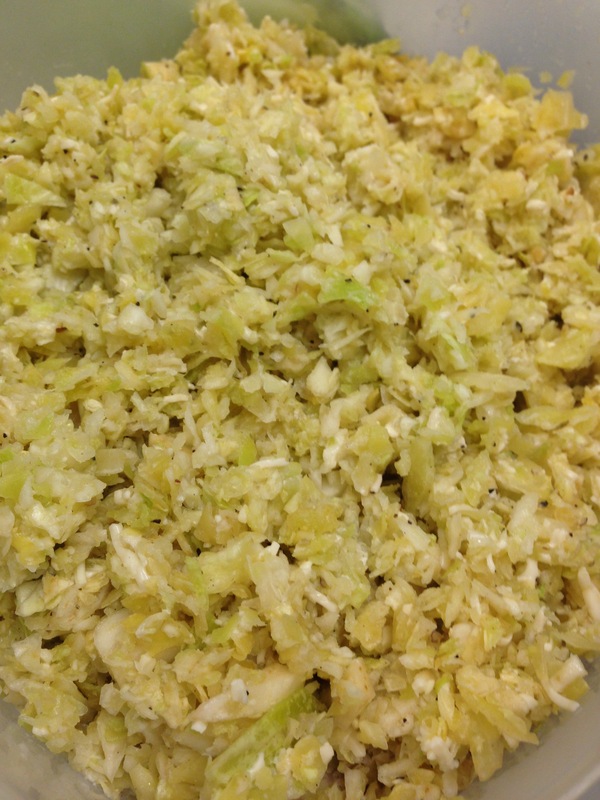 The first attempt was roasted cabbage with diced lemon, garlic, olive oil, salt and pepper. 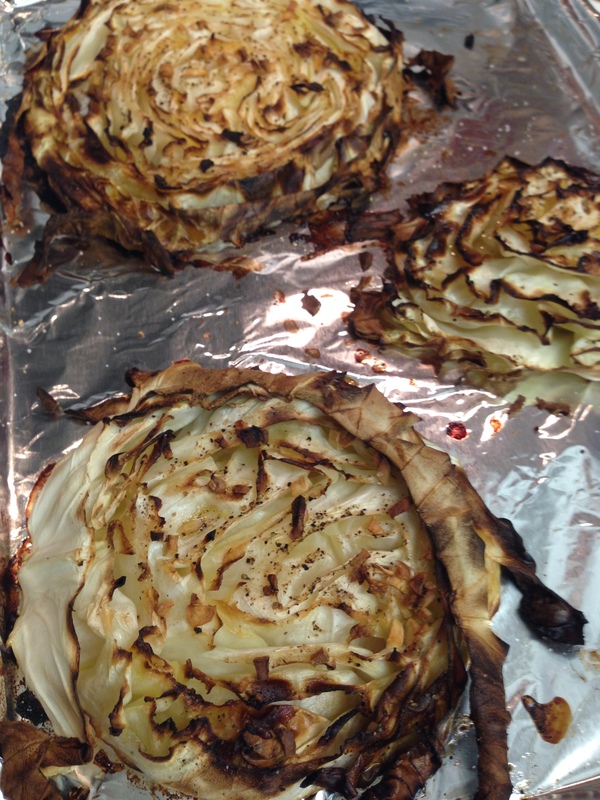 I found this recipe on Pinterest, from Wishful Chef – Roasted Cabbage with Lemon and Garlic. 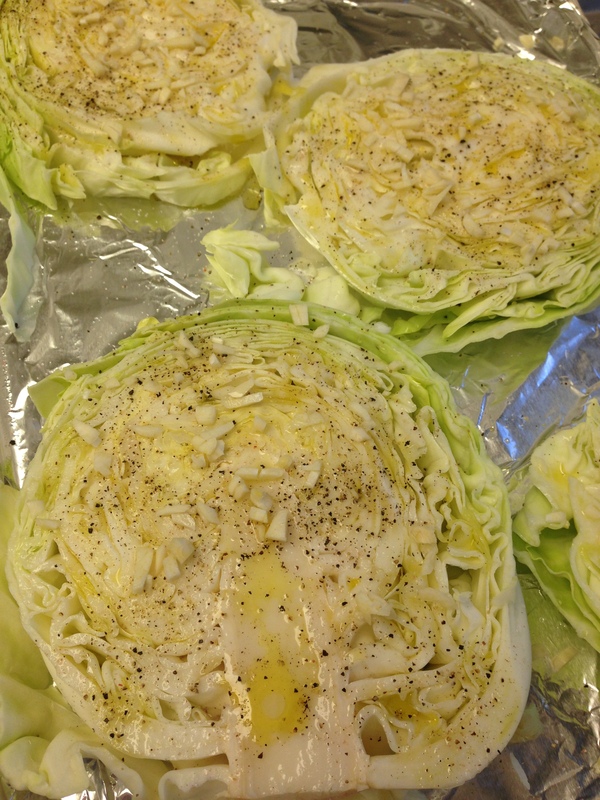 Simply slice the head of cabbage into slices, and then top with the oil/seasonings. Really, you could do anything with this, and it’s super simple! After that, I still had 1 head of cabbage left. I threw a lia sophia jewelry party a couple weeks ago, and decided to make an easy salad out of it. I cut the head into chunks, and shredded the entire head in the food processor, until it was fairly fine. I then ground fresh black pepper, sprinkled with sea salt, drizzled olive oil, and tossed in a fresh grated 3 cheese blend (consisting of parmesan, asiago and mozzarella). Tossed and refrigerated until the party. It was really good, and would be an excellent party food. 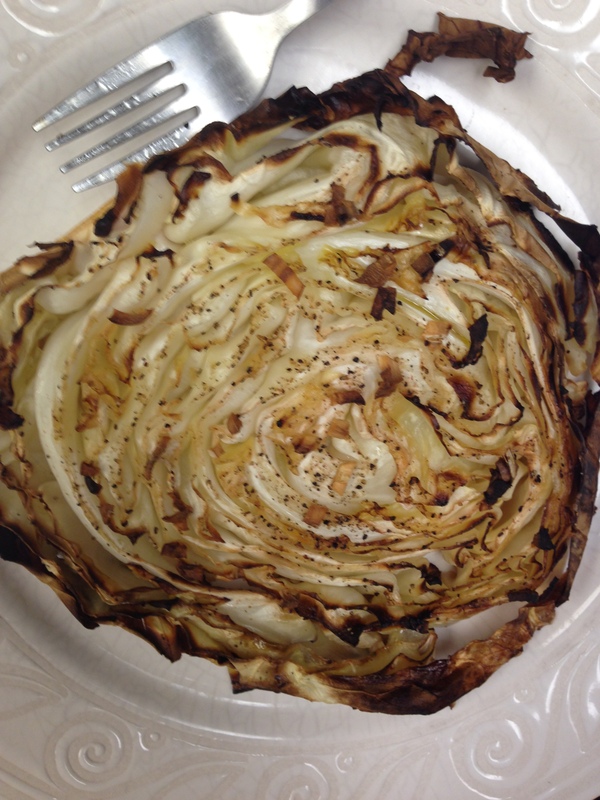 This entry was posted in Recipes and tagged Cabbage, Cabbage Salad, Paleo, Primal, Roasted Cabbage, Wishful Chef by livinglikelinds. Bookmark the permalink.